I'm Alison. I've been blogging for 9 months. I review mainly YA with a few MG books and a weekly manga feature. -I saw this movie last Saturday and loved it so much that I plan on going to see it again on Monday or Tuesday. I just had to pick up the book. -Very quick read. I finished it in two days. Reality was different than the movie, but both were fascinating. After reading and watching The King's Speech, I want to read anything and everything about King George VI, the Queen Mother, and England in WWII. What are some good books about England during the war (especially the Blitz) and some good books about King George VI, the Queen Mother, and Queen Elizabeth II? I didn't know The King's Speech was a book! I'm going to see the movie and if I like it I may read as well. Oh can't wait to see what you think of The Lying Game, I really liked that one. I like ones that keep you guessing and this one did that for me:) I've heard the King's Speech is amazing, I need to go see it! I really liked The Lying Game, can't wait for Never Have I Ever, the sequel. Great haul this week! I'm so looking forward to reading The Lying Game, it sounds great! Haven't heard of those. Hope you enjoy them! Great mailbox! I really need to watch The Kings Speech. It looks so great! Great IMM! Ahh I love Sara Shepard, I will have to read this book! I wish I could help you out about the British books. I'll keep an eye out for you though :) I really enjoyed that movie too. It was a lot funnier and heart-felt than I was expecting. I have been wanting to see The King's Speech. I think it is out on DVD next month so I'll be sure to watch it then. The Lying Game looks good and so does The Crepemakers' Bond. William Shawcross wrote the official biography of the Queen Mother. I haven't read that one but it is probably good. Great list this week! I'm waiting for the King's Speech to come out on DVD (I only get to see kids' movies IN the theater LOL), but I'm sure it'll be great. I hope you like the Lying Game, I loved it! l have to say that l can't read books after watching the movie but good on you for getting the book! l wish l could as the book is often better. Haven't read any of them, but I hope you like them! The lying game looks really good. Oh, you received some great books. I recently started reading the Pretty Little Liars series, and I loved them. Netgalley is great! Enjoy all your new reads. Unfortunately, I don't know of any books you can read like The King's Speech. I haven't read it or seen the movie yet. Hope you enjoy The Lying Game! Great picks! I'd love to read The King's Speech! I love history so it's pretty simple to say "YAY for you and your discovery of King's Speech!" You should look into Victoria and Albert's story in the royal monarchy. That would be just as thrilling too. Those are some great books! I want to read the Pretty Little Liar's book, but I haven't gotten my hands on a copy yet. I loved the movie of King's Speech, and didn't realize that there was a book. Also, it isn't a book, but the movie Hope and Glory was a good film that takes place in England during the Blitz. I saw it years ago, but really liked it. I can't provide any help with your book request. But I can say I loved The Lying Games just didn't like the cliffhanger ending. You got some interesting books. I like historical fiction too. I really want to read The King's Speech the movie looks fab and I would really love to read the book before I see the movie. Thanks for visiting my blog! The Lying Game is in my TBR! Happy Reading! The Crepe Makers' Bond is one I'd like to read! I have the same thought about reading books based on The King's Speech. I did find an officially biography on the Queen Mother, that looks interesting but really long. I keep think I'm going to pick it up, because I'd love to read more about her. And just wanted to say thanks for stopping by my IMM post. 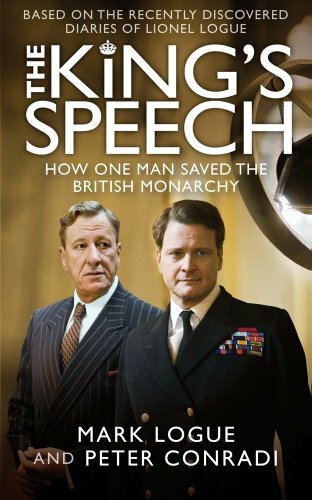 Oooh I loved The King's Speech- I didn't know there was a book, I will have to pick that up. Like you I have become kind of obsessed with the royal family since watching it! I have the Lying Game on my nook right now, looking forward to reading that one also! The Lying Games looks good. I'll go find out some more about it. Happy reading! The Crepemaker's Cond sounds interesting. I enjoyed The Lying Game. Happy Reading! Thanks for checking out and following my blog. I just followed your's. I will have to see The King's Speech...it's the type of movie I like. I haven't seen The King's Speech, but I've heard rave reviews about it. :) It's good to hear you enjoyed the book as much as the film. Also, The Crepemaker's Bond looks like a cooking/baking-featured book, which I hope is true. Happy reading! Nice haul this week Alison! Thanks for stopping by! Nice week! The Lying Game is pretty good. Enjoy! I'm so looking forward to seeing The King's Speech. I read part of the script online. I can see why it won several Oscars. An interesting non-fiction book during that time is The Roosevelts and the Royals by Will Swift. I love WWII books, but I read mainly about the Holocaust. The Postmistress by Sarah Blake is supposed to be good. It's about an American reporter who is London during the Blitz. I don't know of any others. If you find something, let me know! I'd be interested in reading books during that time with the Royals. Hey thanks for stopping by my blog and following me =] You've got a great selection this week, I've been watching PLL so I might give the books a go too. I don't know of many books about the English Monarchy, but Michelle Magorian writes books about England during WWII. Goodnight Mister Tom is her most famous, but Cuckoo in the nest, a Spoonful of Jam and Back Home are my favourites. She also wrote another two called a Little Love Song and Just Henry. I guess they're probably for younger readers, but they are really good so definitely check them out if you're interested in that period. Let me know what you think! Nice mailbox...I was just reading an article stating that they are turning The Lying Game into a tv show like they did with Pretty Little Liars...Happy reading! Great books you got this week. The Lying Game is really good. Hope you enjoy reading all your books. I really want to see The King's Speech and any book with the word crepe in it is bound to be my favorite :) You might try the History of Royals group on Goodreads for some recommendations on books! Looks like I'm going to have to add The King's Speech to my reading list! Happy Reading! Thanks so much for the follow at my blog; I'm glad I can return the favor! Your site looks amazing. I can wait to dig around in it. I own and have read The Lying Game. It's a great, fun read. Just sit back and enjoy the ride. I didn't know the Kings Speech was a book. Heh. Guess you learn something new every day! Glad you liked it so much. I'll have to add it to my "to read" list. YES to The King's Speech! I should definitely pick up the book because I loved the movie as well. I wonder if the book is better than the movie? Terrific books! Fabulous books this week! I haven't seen the King's Speech yet - I'll probably read the book first. Great mailbox! I love WWII books...... most of the ones that I have read have taken place in Russia or Germany.......... It's not WWII, but Fall of Giants by Ken Follett is set in WWI in England...I really liked it. Looks like somg great reads. I'd like to read The King's Speech myself. For England in WWII I really loved The Guernsey Literary and Potato Peel Pie Society. Ken Folletts books Jackdaws and Eye of the Needle were great reads too. Hope you find some books you like on this subject. I didn't realize that The King's Speech was a book. I haven't seen the movie yet, but this looks interesting. Awesome IMM! The Lying Game seems like a cool book. I heard they were making a tv series like Pretty Little Liars. Great mailbox! Haven't seen The King's Speech... I had no idea there was a book. lol. Fail? I have yet to see The King's Speech, but since it won an Oscar over Black Swan and Inception (grrr! ), I'll have to watch it and see what all the fuss is about :P.
Great IMM, I really liked The Lying Game, but a lot of people don't really like it. The Lying Game is awesome, you'll love it! I'm very interested in the movie, for The Kings Speech. I wonder how the books is. I will be looking out for that review! Yay for King's Speech! I love the movie! hi! thanks so much for following my blog! I also followed yours! great blog! so happy to have met you! GOD bless! 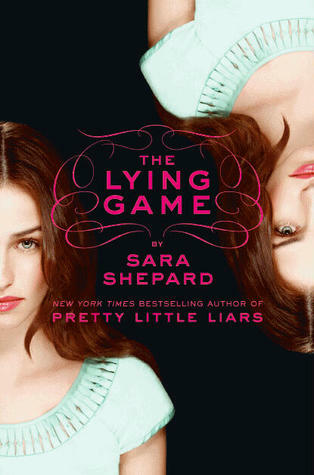 I loved Pretty Little Liars and really want to read Lying Game - I hope it's good! Happy reading! I didn't know the King's SPeech was a book too - I might have to venture out of my genre and check it out..hearing such great things about it....thanks so much for sharing with us all! Awesome mailbox hon!!! Thank you so much for sharing and for stopping by! The Lying Game is really good. I think I'm going to add The Crepe Makers' Bond to my TBR list--it looks good! Happy reading! And *sobs* I'm desperate to watch The King's Speech, but no one will go with me. I'll just have to go alone. Sounds worth it. I'm going to have to try to watch The King's Speech then. British history just seems really fascinating overall. I can't think of any books about England off the top of my head, but if I do, I'll let you know. I've heard great things about Lying Game, hope you enjoy. I enjoyed The Lying Game. I didn't realize The King's Speech was a book as well. My grandmother loved the movie (she's from England). I might have to get her the book. I'm not sure about books set in that time frame. I tend to read ones set in Tudor England. I'm very interested in The King's Speech. Glad to hear both the movie and book were good.